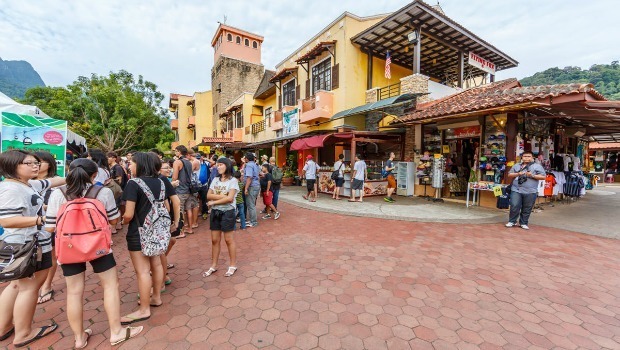 The tourist industry is rather new for fishing villages of Mui Ne (Mũi Né) and Phan Thiet (Phan Thiết), yet they are catching up so fast, with shops and restaurants opening almost every week. Products include handicrafts like paintings, embroidery, lacquer ware, scarves, blankets, ceramics and handbags. Many of these products are made in the ancient Cham style, making them special and unique. It is also very fun to explore the local market. As a tourist, you should not forget to try favorite local fruits like Dragon Fruit. 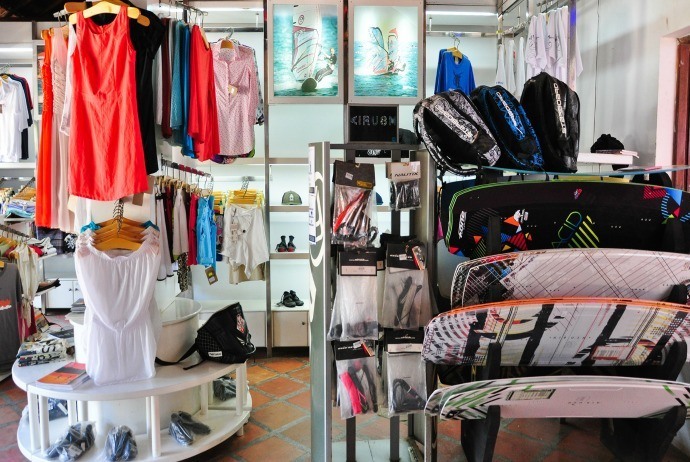 If you are going to visit Phan Thiet – Mui Ne (Phan Thiết – Mũi Né), and consider shopping as an integral part of your holiday, then you should check out this guide on shopping in Phan Thiet – Mui Ne. Take a look! When it comes to shopping Phan Thiet – Mui Ne, some popular things to purchase here include Nước Mắm (fish sauce), needlework, dragon fruit, ceramic objects and Cham textiles. While going on your shopping excursions, you will come across a lot of things which may look tempting and exotic to buy, yet may be better left alone. Buying coral accessories and corals just contributes to the significant damage to Vietnam’s coral reefs. Besides, other products to consider buying can include rice wine with endangered animals put in the bottles, turtle products and things are made of ivory. Despite there is limited produce, shopping in Phan Thiet – Mui Ne keeps growing. 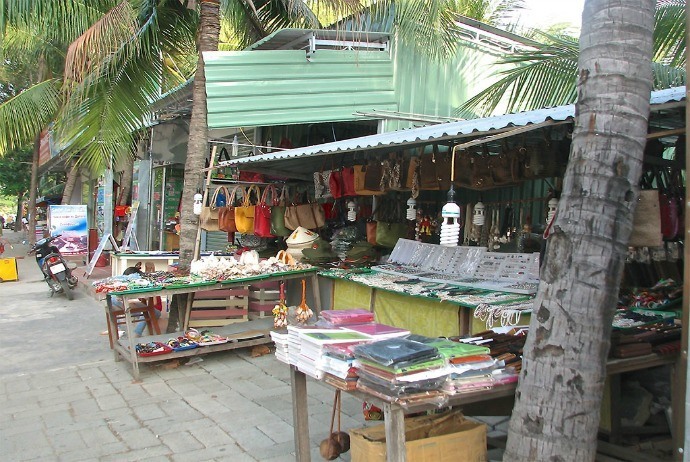 Local fashions, pearls, snake and crocodile products, tropical fruits and materials are the offerings of Mui Ne’s shopping manifest. This is not a shopping destination, despite there are enough offerings of local produce to keep shoppers hunting up and down the back street behind the resorts for a few evenings. Pearls are definitely one of the best things to buy in Mui Ne and Phan Thiet as well. The west end of the Mui Ne beach holds nearly all of the shopping opportunities. Before the resorts were built here, there was nothing much related tourism. The east end of Mui Ne is actually urbanized, leaving little spaces for businesses. When shopping, you should remember that prices vary greatly in Phan Thiet – Mui Ne, in particular, and in Vietnam, in general. The vendors will deliver a price that they think that they could get from each client. Be prepared to check prices and properly bargain before trading, otherwise be prepared to pay double or even triple the going rate. There is somehow cheating in money transactions in Vietnam, so you had better check carefully each time you buy goods, particularly when dealing with street vendors. 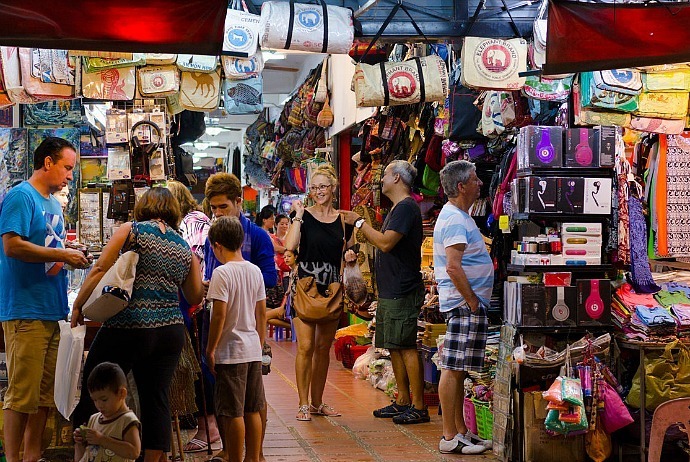 There are a few good markets in Phan Thiet – Mui Ne. In Phan Thiet, you may want to begin your shopping at the Co-op Mart located at the corner of Tran Hung Dao and Nguyen Tat Thanh for souvenirs along with jewelry shops. Concentrating on casual wear for females, males and children, this high quality shop offers products made from all-natural fibers of cottons, bamboo and linen. The French-style design combined with local Asian inspiration and modern cuts create are noticeable features of Saga Du Mekong. 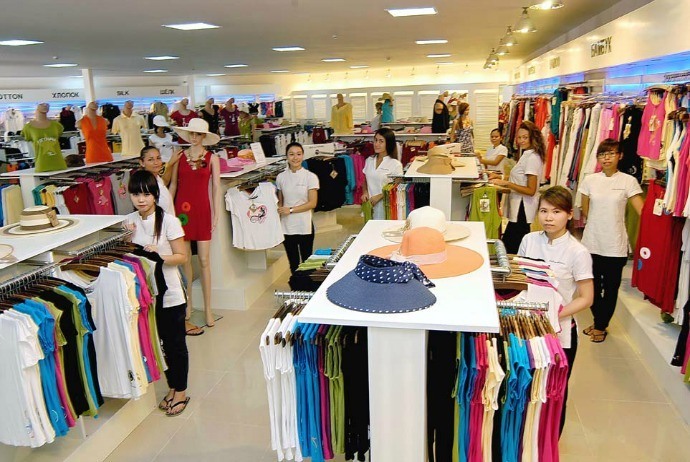 The clothing here is designed and manufactured in the factory of the same name in Nha Trang, which provides products for many stores across Vietnam. Along with a wide array of clothing, the store carries organic soaps and other health supplements and accessories like necklaces, belts, and hats. Just take a tour of the factory outlet at no.61B Khuc Thua Du (Khúc Thừa Dụ) Street in Nha Trang, and you can see first-hand how normal clothing is made. Jibe’s shop sells everything and anything related to kite surfing, windsurfing, bodyboarding, sailing and much more. You could find many products originated from high-quality brands like Quicksilver, O’Neill, Roxy and Oxbow here. Jibe’s is also a famous water sport shopping centre where tourists could rent equipment or quickly sign up for different courses of their choice. After a long day on the water, unwind at the onsite bar where you could enjoy pizzas, burgers, steak, pastas, seafood and Vietnamese specialties at affordable prices. For beverages, do not miss happy hours from 5pm to 8pm and 10pm to midnight. This is a family-run business centrally located that sells an assortment of high-quality clothing with a concentration on beach apparel and leisure. There is a dizzying range of silk scarves. 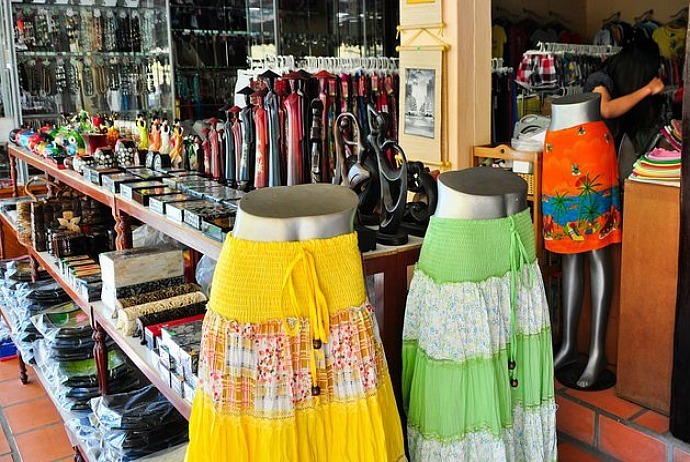 It also provides local and tourists beach gear like sandals, bikinis, and sunglasses, along with belts and leather hand bags. At the shopping center, you could get upmarket labels you want at the prices which are surprisingly competitive. In order to check if an item is 100% silk, you should light a strand. In case the ash left over is fine, it is the real. 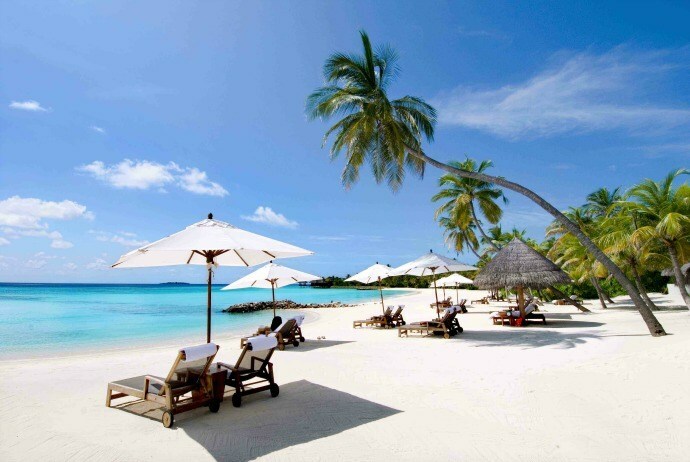 If you unluckily forget your swimsuit, or need some beachwear, then do not fear as Kim Shop will offer what you need. Labels on offer include Roxy, Billabong, Quicksilver and many more; all of them are sold at reasonable prices. Sunglasses, jewellery, snacks and drinks are also found here. This shop has three separate locations, so head to the shop which is nearest your hotel or resort. 69 Slam was born from all watered-down and formulaic underwear brands. It has developed into a modern lifestyle brand of alternative funky swimwear, underwear, clothing as well as related products. Asian Living provides customers with beautiful jewelry as well as accessories and a wide range of casual and resort wear. 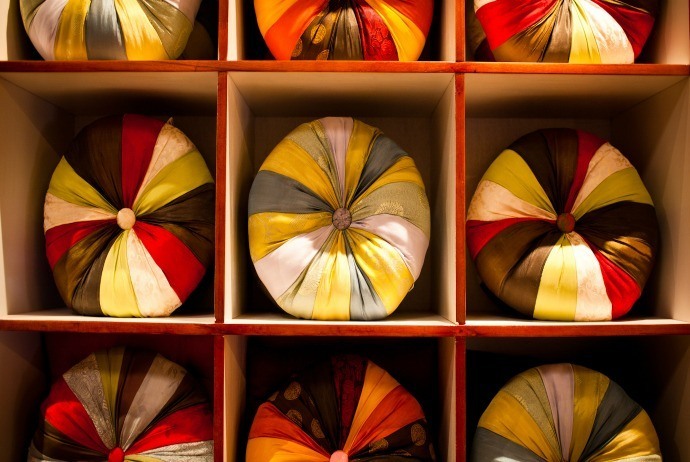 Whether you are looking for a silk scarf or a summer shirt, this is your ideal destination. There is a variety of clothing for females and males in sizes to fit everyone, at reasonable prices. Enjoy browsing in the air-conditioned interior – a treat along Ham Tien – Mui Ne Strip. 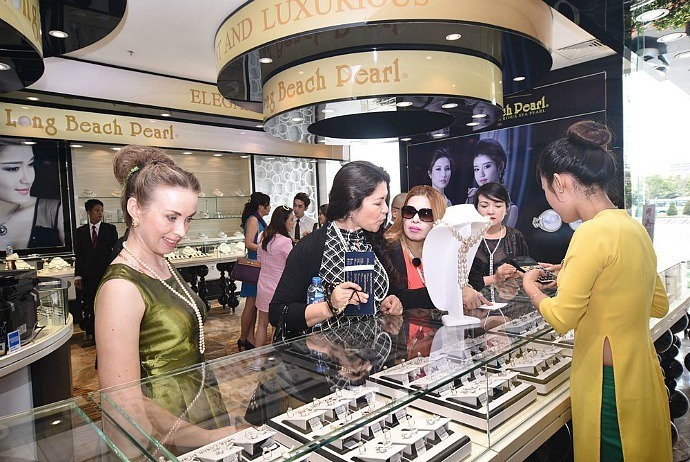 Long Beach Pearl, a renowned pearl jewelry brand in Vietnam, has showrooms located at well-known paradise resorts of Vietnam, such as Nha Trang, Mui Ne – Phan Thiet, and Phu Quoc island. Long Beach Pearl showrooms are really world-class jewelry centers of Vietnam. Most showrooms of this brand are 1000 to 2000 square meters. With excellent services and modern design for customers, you could find thousands of beautiful pearl jewelries displayed in this kingdom of pearls. The shop proudly offers tourists and locals the best choice of pearl jewelries in Vietnam with seawater pearls: Mabe and South Sea pearls, Akoya pearls, Tahiti pearls. Importantly, Long Beach Pearl warrants purity of silver (925) and gold (14k and 18k) and quality of diamond in all brand jewelries. By visiting this shop, you can get some basic information about pearls, such as how to choose the true pearl, how to wear pearl jewelries, how to care in order to keep pearls beautifully forever. Prices vary so you could easily choose the pearl suitable for your budget, beginning from quiet affordable fresh water pearls in silver to luxurious and sophistically designed jewel masterpiece with Tahiti pearls or diamonds with the rare trendy black gold. Luxurious and elegant pearls just could be found at Long Beach Pearl – the best choice of pearl jewelries centers in Vietnam. Except for several specially noted exceptions, most products presented in Binh Thuan Authentic are made locally. Binh Thuan Authentic offers products with highest quality which could not be bought in other shops anywhere else in Vietnam. The items sold here are unique and hand-made. The honey provided in this shop is truly authentic which is not diluted with sugar syrup. The producers warrant pure honey straight from the bee keeper’s hivers. There are three types of honey available: Wildflower Honey, Cashew Flower Honey, and Coffee Flower Honey. The baskets made by Koho, Rag Lai, Rai, and Churu minorities are displayed here. Each minority has its specific distinct style of basking weaving. These baskets are worn on the backs of women and men because they work inside the forest, scavenging for resources and food. This is a very unique item, which is never available for retail before. 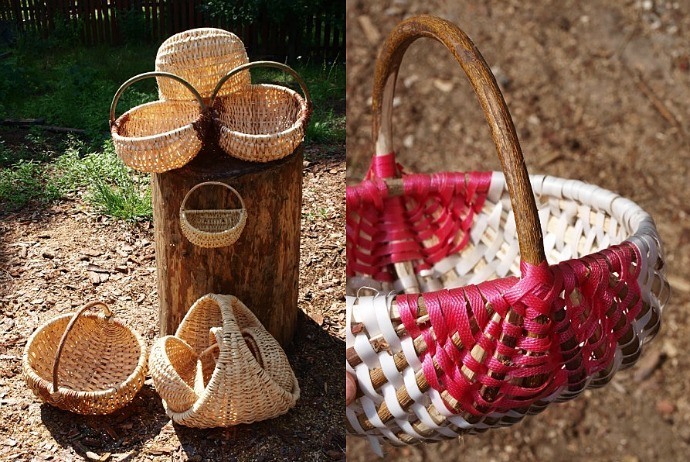 It is because families traditionally make those baskets by themselves, in their home, for their special personal use. These items are bought directly from minority families in their remote villages. The rice cake candies presented here are made by hand by a particular family who is living in their 200-hundred-year-old house in Phan Thiet. The ingredients included are completely natural-rice, dried fruit, and sugar. Our Cham textiles are made on those traditional looms, presenting traditional Cham designs. The fabrics are made in Binh Thuan Province. 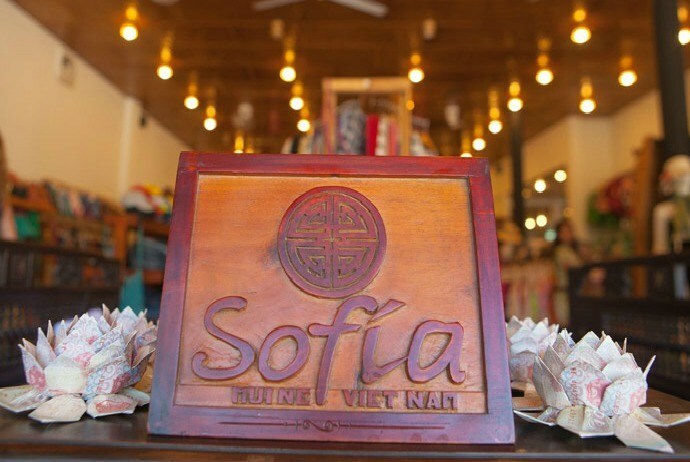 The fabrics used in hand-tailored cloths of this shop are manufactured in Binh Thuan Province, not Phan Rang. Clothing is produced at the finest quality, with traditional patterns and designs, wooden toggle buttons. 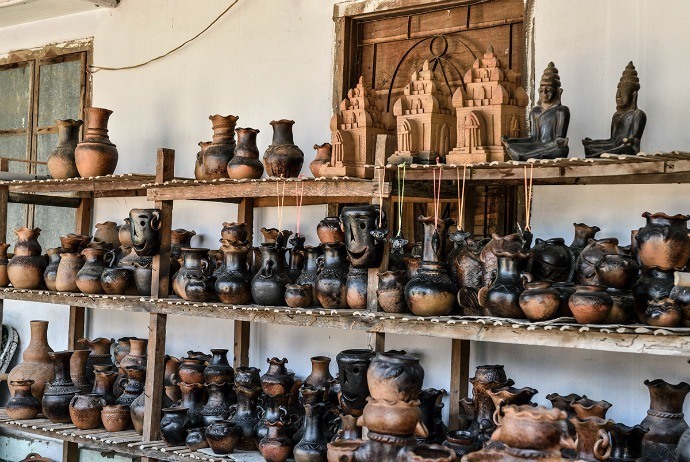 The Cham Pottery of Binh Thuan Authentic is hand-made in those local villages around Binh Thuan province. Cham people are famous for their pottery skills, and highly sought all over Vietnam and worldwide. The tradition extends back for over 1,000 years and a few similar designs have been found in excavation around Cham towers, as what are still produced today. In addition to the mentioned-above products, you can also find other items in Binh Thuan authentic, like Cham ethnic costumes, local embroydery with scenes from Binh Thuan Province, Ethnic minority language-learning materials, Fisherman”s baskets, and many types of natural candies that are made from fruits and grains produced locally. Forester Shop: This is a fine shop with an exotic setting, selling crocodile leather, Cham ceramics and assorted high-quality souvenirs. Go Ahead Souvenir Shop: This is a famous shop in Mui Ne for its shell products. Shop Thai: The shop sells virtually all popular trinket and craft items from all over Vietnam. Rigorous haggling is essential. The marked prices are a little bit high. Location: No. 33 Tran Quoc Toan (Trần Quốc Toản) Street, Phan Thiet (Phan Thiết) City. Location: No. 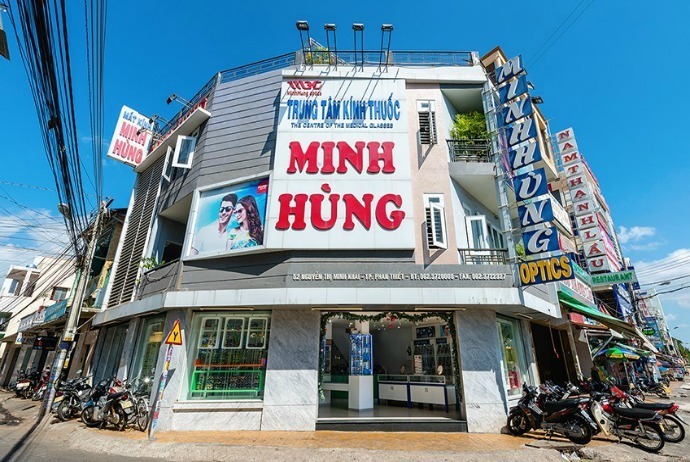 52 Nguyen Thi Minh Khai (Nguyễn Thị Minh Khai) Street, Phan Thiet (Phan Thiết) City. Airwaves: kite-boarding equipment, surf boards, shorts and shirts are available. Locations at Jibe’s and Good Morning Vietnam. The Beach Shop: bathing suits, sandals, sunglasses, shorts and shirts. Mellow: Selling Ozone kite-boarding equipment and clothing. Lessons with Ozone instructors are also available. This tour company is situated at Coco Café (internet cafe), having the first and largest used book selection in the area. Minh Nhung Crocodile Shop: snake and crocodile bags, belts and many other items. The prices are a bit high but the merchandise is really high-quality. The Rock Shop: this is an in-house gift shop at The Hot Rock that carries an eclectic selection of many locally inspired jewelry and hand bags, using traditional designs and local fabrics. Thinh & Sabine: Handmade jewelry, particularly sapphires in silver and gold settings.